The evolution of the moral argument dates back to the long conversation around the question of human nature. What Sylvia Wynter and others frame as the “genre of the human” provides a roadmap to the nature of the conceptual arguments advanced by Western philosophers. Clearly, who gets constituted as human determines who is offered the protections offered by a social contract that confers rights upon those humans that belong to a particular society. The foundations of enslavement, then, are based upon the denial of the humanity of those that are enslaved. Importantly, this precedes the enslavement of Africans, but it is also true that it was already racialized if we take the arguments of Cedric Robinson to heart. The basic assumptions of those articulating moral rationales for ending enslavement in the nineteenth century had to revolve around claims of the humanity of those enslaved. Using a variety of Biblical readings, abolitionists in England, for example, built an argument that enslaved people shared the basic humanity as those of English descent. 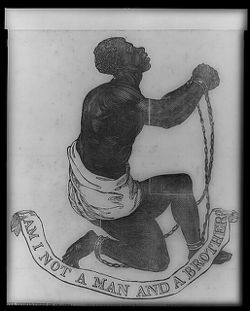 The famous image that galvanized the movement there was Josiah Wedgewood’s image of an enslaved African declaring, “Am I Not and a Brother”? It served as the emblem of the Society for the Abolition of Slavery in England. It was the work of these abolitionists, which included figures like Granville Sharp and William Wilberforce, that prepared the ground for challenges such as the one taken up in the famous Somerset case, which abolished slavery in England. Another factor in England that rankled its moral fibers were the horrors of the Middle Passage exposed by figures like Thomas Clarkson. Along with Wedgewood’s image, the famous rendering of the Brookes contributed directly to Britain’s abolition of the slave trade in 1807. In the United States, the Quakers were the critical voice on the question of abolition. Influenced by Anthony Benezet, they argued that slavery contradicted Christianity. Though predated by earlier organizations, the founding of the American Anti-Slavery Society in 1833 was the signal moment in modern American abolitionism. Founded by longtime activist William Lloyd Garrison, the American Anti-Slavery society advanced both moral and political claims in their opposition to enslavement. Their arguments spoke to the immorality and brutality of the slave states as well as to the need to elevate enslaved Africans from their degradation. Garrison famously employed and supported freed Africans like Frederick Douglass to advance these arguments. Perhaps most critically, the abolitionists in America strenuously debated the notion of whether or not the United States Constitution was a pro-slavery document. In a critical period where enslavement was growing precipitously in the South and where much of the political momentum swung towards expanding it, their readings of the Constitution helped abolitionists advance a range of arguments that challenged the very foundations of the American social order. Their tactics remained in the realm of moral suasion. It is important to note, here, that at around the same time of the birth of the American Anti-Slavery Society, a cadre of Black abolitionists made their mark. Manisha Sinha labels them an extension of the Black radical tradition. Figures like David Walker, Martin Delany, and Henry Highland Garnet opposed slavery, but they did not always hew to the moralist arguments of the white abolitionists. Vincent Harding asserts that while they debated the merits of the constitution, of emigration, and rebellion, they began to see the question less as a concern of the future of America and more of an identification with the prospects of Black freedom—regardless of what happens in and to America. They built an alternative convention movement that raised these concerns and supported various initiatives that were the harbingers of Pan Africanism and Black Nationalism. One does not need to be a historical materialist to recognize the ways that economics shapes decision-making. Such was especially the case in the modern world. The argument advanced by many was that the Age of Europe created rationales for exploration that were lodged in the acquisition of land and thus of wealth. The enslavement of Africans was part of this matrix, and it is crucial to make those connections. While moral arguments about abolition were critical, it is unlikely, as Eric Williams argued, that enslavement would have been abolished without the shift in the industrial and imperial ambitions of one of the major powers: Great Britain. Enslavement’s hegemony was challenged by declining rates of profits as well as new explorations to the Pacific that would lead to the colonization of large swaths of the globe. 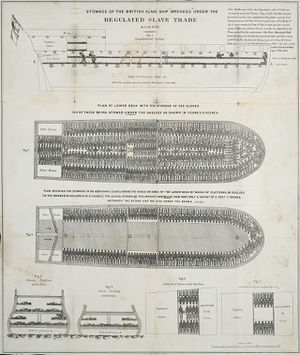 Here, African enslavement was replaced by a form of exploitative labor, and together they provided the basis for the industrial revolution of the 1800s and the emergence of the factory. The erosion of the soil of the sugar plantations in the Caribbean was the leading cause of this strategic shift. The “opening” of new lands to exploit in the East, however, cannot be overlooked as critical. All in all, it meant that capital was willing to concede the moral argument as it ultimately did not hurt already declining bottom lines. Things were slightly different, however, in the United States. With the advent of King Cotton in the nineteenth century, the American level of productivity and profit increased, leading directly to the sectional conflict that would result in the Civil War. The dispute was economic and was based on the questions of efficiency and commercial relationships with the larger world. Many abolitionists joined those who believed that wage labor was a more efficient form of accumulation. There were numerous uprisings of the enslaved in the eighteenth and nineteenth centuries across the landscape of the New World. Enslaved Africans never accepted the fact of their enslavement. Neither did they accept the fact that they were chattel. The maintenance of the slave economies that produced the rice, sugar, coffee, tobacco, and cotton so necessary to Western Europe, was a violent affair. Much of the violence was exerted upon the enslaved, but not all of it. Gerald Horne argues that the founding of the United States had much to do with the untenable situation that had emerged for enslavers in the British Caribbean, which was rent by revolt. They found solace on the mainland, and eventually they revolted against British rule, themselves. Their rebellion, according to Horne, however, was about their fears that the moral argument against enslavement would be victorious. Thus, in some ways, and quite ironically, many who contributed to the founding of the United States, were only there because of the revolutionary resistance of the enslaved. The same could be said about the expansion of the United States. One of the most significant single expansions came in 1803 with the Louisiana Purchase, the unloading of a broad swath of the French Empire. This liquidation came in the face of the defeat of the French by what would be come to the first Black republic: Haiti. Haiti was, of course, a symbol for those Black abolitionists who saw it as both proof of the capacity for Black self-government and a beacon for how enslaved Africans in the United States might resist. Enslavers, however, saw it as a warning. 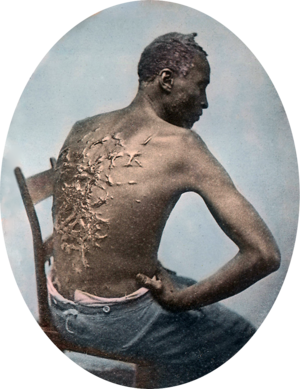 The United States responded to the threat of violence by exerting greater control over the enslaved population. Nat Turner’s rebellion was one of many that roused the fear of violence. 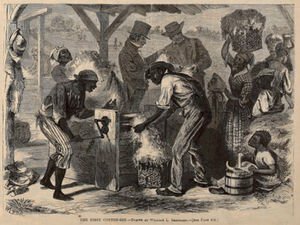 Rebellions in Virginia and South Carolina led to the abolition of private meetings of the enslaved and the prohibition of reading, writing, and preaching. There were other conflicts—both violent and political—in the tumultuous two decades after Turner’s rebellion that led directly to abolitionist and quasi-abolitionist political parties. One of them, the Republican Party, would elect Abraham Lincoln to the office, a year after John Brown and other abolitionists had decided that electoral means would not suffice. They were proven right. Enslavement ended in the United States in 1865, following Britain and France, but preceding Brazil and Cuba. The record of abolitionism was crucial to these outcomes. But it also took a paradoxical and sometimes moderate route to its desired goal. In some ways, it was a product of modern liberalism that has been extended to the current political environment. Harding, Vincent. There is a River: The Black Struggle for Freedom in America. Orlando: Harcourt Brace Jovanovich, 1981. Horne, Gerald. The Counterreovlution of 1776: Slave Resistance the Origins of the United States. New York: New York University Press, 2014. Robinson, Cedric. Black Marxism: The Making of the Black Radical Tradition. Chapel Hill, NC: University of North Carolina Press, 2000. Sinha, Manisha. “Reviving the Black Radical Tradition.” Race Capitalism Justice Forum 1 Boston Review (Boston, 2017): 66-71. Williams, Eric. Capitalism and Slavery. Chapel Hill, NC: University of North Carolina Press, 1944. Wynter, Sylvia. “Unsettling the Coloniality of Being/Power/Truth/Freedom: Towards the Human, After Man, It’s Overrepresentration—An Argument.” CR: The New Centennial Review 3 (Fall 2003): 257-337. This page was last edited on 17 January 2019, at 01:28.